Starkut Media & Entertainment Pvt. Ltd.
"Always blooming and forever in the limelight is the media and entertainment industry, where thousands of actors, models, singers, dancers, fashion designers, script writers, anchors, DJ’s and other extraordinary talented professionals across various categories work towards providing continued amusement and pleasure to billions of people. 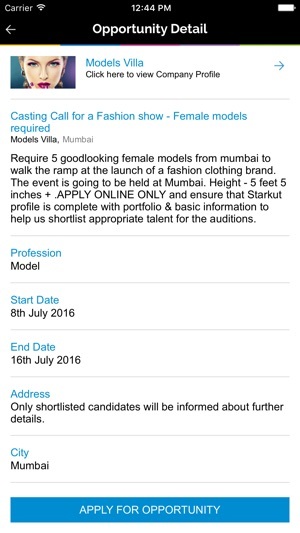 Starkut – The Finest Media & Entertainment Talent Hub. 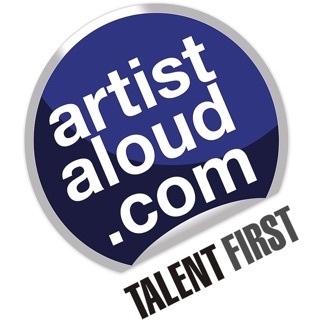 Showcase Portfolio, Network, Get Audition & Opportunity Alerts & Apply Online, Post Updates, Gather Likes, Recommendations & Views, Share Profile on other social network & much more. 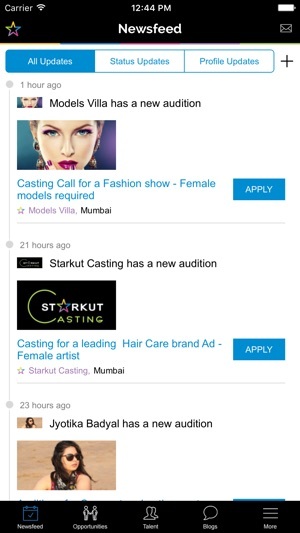 We bring you Starkut – a Talent Aggregation app that bridges the gap between talented professionals in the media and entertainment industry and opportunity providers like Film Production houses, Advertising and Modelling Agencies, Event Organisers, Casting Directors and Corporate Events etc. On Starkut, the talents can showcase their portfolio in an interesting fashion as pictures, video links and sound files. Further, the talent can network with the co-members, have their own newsfeed where they can post regular updates, follow co-members, gather likes, recommendations and views, seek and apply for opportunities, link the Starkut account to other social profiles. This apart, the talents get notification alerts for new opportunities, messages and about people following them on the Starkut platform. Talented Enough? Here’s Why you should join Starkut. With hiring and freelancing opportunities taking the digital route and with media industry mostly driven by connections; it’s high time to showcase your work to the right people on the right platform. You might have proven your talent as an actor, singer, model, comedian, artist or dancer with millions of views on YouTube & Vimeo like channels. But it’s the right time to put that in front of opportunity seekers who are looking for talents just like you! • Linking the Starkut profile to your other social profiles such as facebook, Twitter etc. • Notification alerts for new opportunities, messages and new followers. • Apply online for opportunities. • Gather likes, recommendations, views and followers. 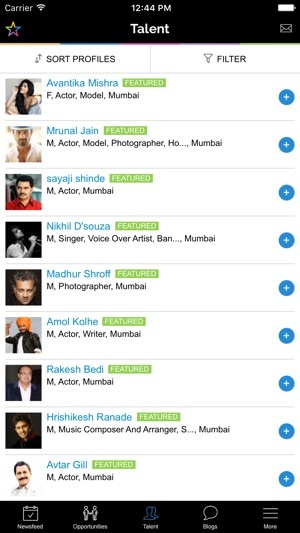 • Find and connect with Talents & Professionals across categories from Actor, Model, DJ, RJ, Singer, Dancer, Sound Artist, Directors, Photographer, Fashion Designer, Comedians, Magician, Lyricist and may more! 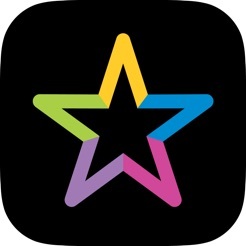 • Great user-friendly app and intuitive design. Still waiting? Go showcase you talent on the finest media and entertainment talent hub. Network. Get Noticed. Get Discovered. © Starkut Media & Entertainment Pvt. Ltd.
FTC Talent Media & Ent.